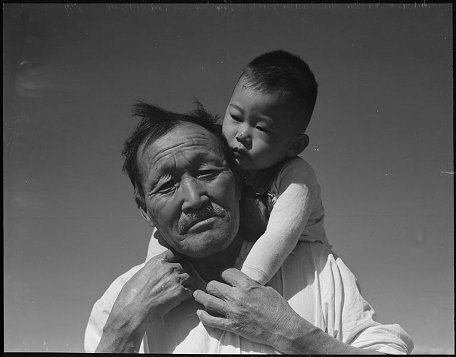 Grandfather and child, at Manzanar. Photo credit: Dorothea Lange. 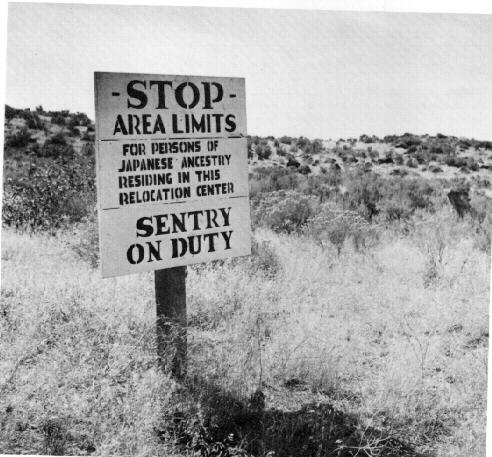 72 years ago today, Executive Order 9066 was signed. Earlier today, I posted a pictorial retrospective of anti-Japanese xenophobia and internment to commemorate this nation-wide Day of Remembrance. 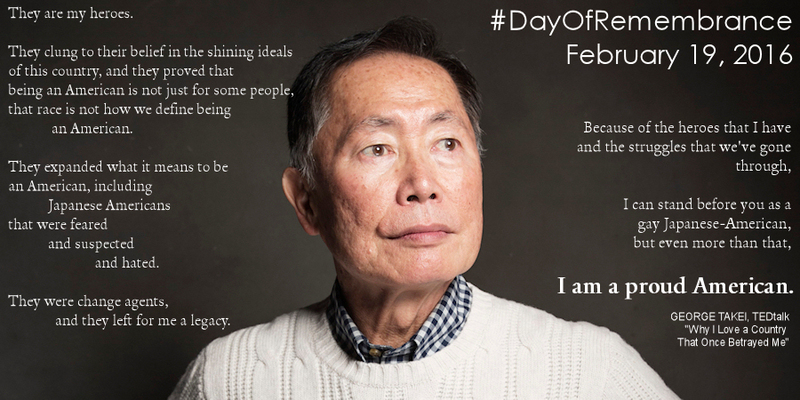 This is the third and final part of my #DayofRemembrance posts. I present to you 12 historical images of Japanese American strength, patriotism and general awesomeness during and after internment. As I posted earlier, today marks 72 years following the signing of Executive Order 9066, which paved the way for the largest mass incarceration and civil rights violation of American citizens in American history. As I wrote earlier this month, internment is still technically Constitutional. Today is a day to remember this horrible moment in American history, and to vow to never let it happen again. To that end, here are 10 historical images of Japanese American interment. 72 years ago today, President Franklin D. Roosevelt signed Executive Order 9066, which established military zones in the West Coast, eventually empowering the government to round-up and forcibly intern Japanese Americans during World War II in one of this government’s worst examples of mass violation of American civil rights. To remember this second day that should also live on in infamy (lest we forget the crimes and horrors that were conducted in the name of racism), here are 12 images that capture the anti-Japanese xenophobia and hatred of the era, that helped compel and support the signing of E.O. 9066.